There are a number of myths when it comes to commercial real estate sale or lease transactions. I’ve accumulated a list of 6 myths I know to be bunk and why. Myth #1 – Commercial real estate investing is risky. Don’t all investments carry a certain level of risk? Commercial real estate is no different. The degree to which a new buyer looks at his/her first investment differs drastically from a buyer with a substantial portfolio. As a rule of thumb, we typically say the lowest risk commercial real estate investment is multi-family housing such as a small apartment building. The building should be sustainable with some level of vacancy at any given time, and accordingly this investment will likely yield a lower return. The next graduation for most commercial investors is to a multi tenancy retail or office building. Again, with multiple tenants to carry mortgaging, a vacancy can sometimes be absorbed for a short amount of time. The highest risk is a single tenancy. This type of investment is not for the weak of heart or weak of bank account. This type of buyer must be able to carry the costs of the property should it go vacant for a substantial period of time. Myth #2 – This rental property has been vacant for a long time, so I’m sure there the landlord is ready to give it away. Without understanding why a property is vacant, tenants or agents have little reason to believe there is a “deal” to be had. The owners could be writing off the bad debt or making the vacancy work in their favour in some other way. In some multi-tenancy properties, the landlord is simply trying to keep the peace. Tenants talk and they do not want to sour relationships with existing tenants by adding new tenancies at a bargain price. The single most important motivator for most landlords is maintaining asset value. Their financing is tied to the rates they receive on their properties. By cutting rents, they are in jeopardy of limiting their financing leverage or reducing asset value. Myth #3 – The municipality’s assessment is important in valuing my property. In Saskatchewan, the province regulates the frequency of property tax assessment. However, that is not to say the assessments are any reflection of current market value. Saskatoon’s latest assessment, for example, was done in 2011. Prices and market demand are not what they were three years ago and the assessment is not a true reflection of what the property can sell for on the open market. Myth #4 – Spring is a good time of year to buy/sell. In commercial real estate, much like residential, property always shows best in the non-snowy seasons, which can be a short timeframe in Saskatchewan. But commercial investors look year round so any time of year is a good time to buy or sell a property! 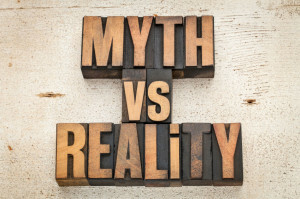 Myth #5 – I can save money by not using a real estate agent. Much like any “expert” advice you receive, agents are worth every penny. We have counselled buyers and sellers from not proceeding on a sale which certainly affects our bottom line. At the end of the day, we want to make sure you’ve been given proper advice and we hope that translates into another deal if we can’t move forward. Most sellers have a clear expectation of what they need to net from a deal and have worked real estate fees into their equation. The lesson of this story: engage a buyer’s agent to protect your interest. The seller pays the fee and you know you got a fair shake. Myth #6 – My space no longer works for me but I can’t do anything about it until my lease expires. A lease is a contract that must be respected by both the landlord and the tenant. However, in speaking to your landlord you may find out that they need the space for themselves or another tenant. Or that they have other plans that may mean an early vacancy is a possibility. Leases often allow for sub-leasing which provides for you to find a tenant to occupy the remainder of your term. You may still be responsible to the landlord for this tenant but they can help you recover the expense of a move without paying double rent. The most efficient way of deciphering the myth versus reality is obtain real estate counsel. We know our business and the way the market works.